Thank you to Teaching Textbooks for sponsoring this post! I have been compensated for this review; however, I purchased the Teaching Textbooks 3.0 subscription on my own and all opinions are my own. Math! What is it about this one little word that strikes fear in so many homeschool parents? Maybe it’s our own past experiences with the subject. If there’s any subject I have struggled with choosing a curriculum for my kids, it is math. I feel like I’ve finally found a solution to my math teaching woes. 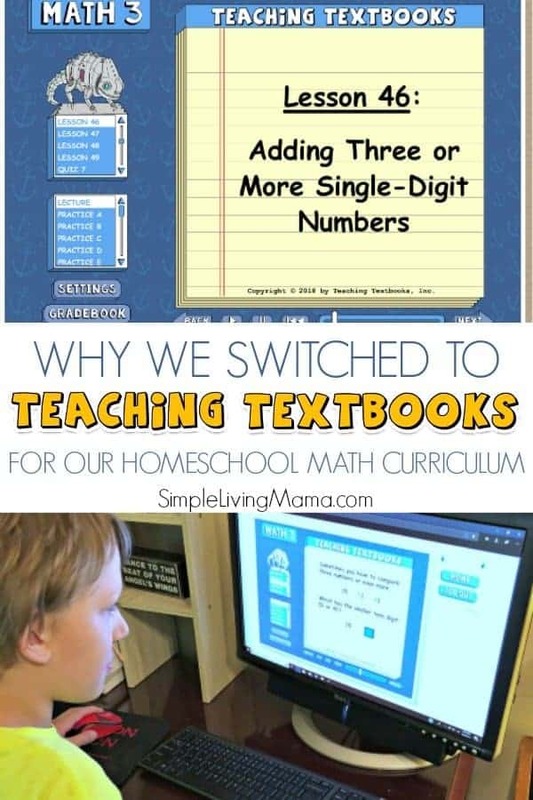 Read on to find out why we switched to Teaching Textbooks for our homeschool math curriculum. I shared that we switched in my elementary homeschool curriculum choices post, so now I’m excited to share why! Let’s begin with my math curriculum struggles. When I first began homeschooling I strictly followed My Father’s World suggestions. 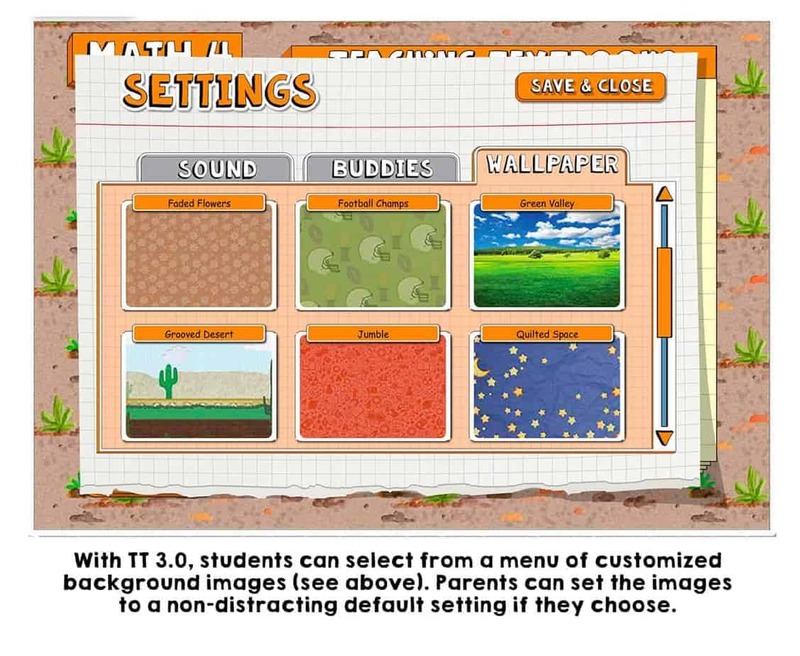 Once my oldest child began second grade, I started him on Math Mammoth. Now, I like Math Mammoth well enough, but by the time we got to Level 2 and my son was in third grade we were butting heads. We would spend upwards of an hour trying to get through one page. I couldn’t explain things to him in a way that he could understand. It was frustrating for both of us and school was not fun. I had heard about Teaching Textbooks early on in my homeschool journey. The 2.0 version included a textbook and discs to be used on the computer. I really wanted to give it a try, but didn’t want to spend a lot of money if I didn’t know if it would work for us or not. 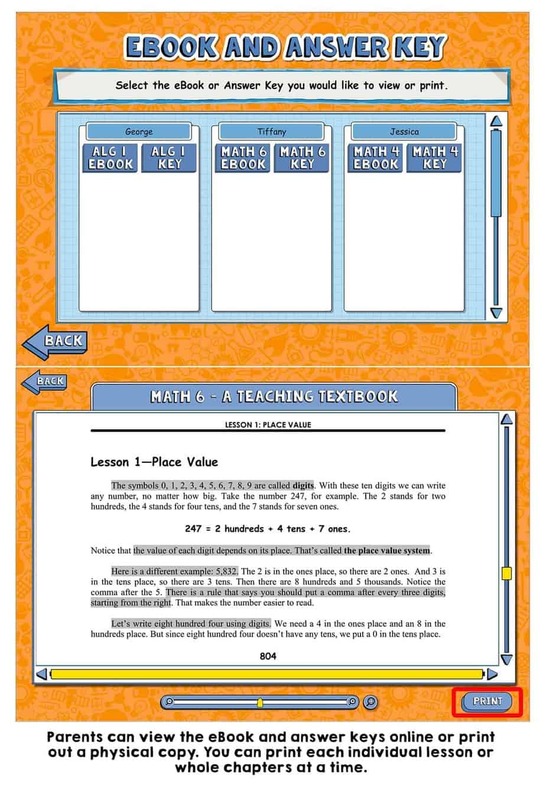 Enter Teaching Textbooks 3.0. I learned about the new 3.0 program at just the right time. Instead of purchasing a book and discs, I could pay for an online subscription. 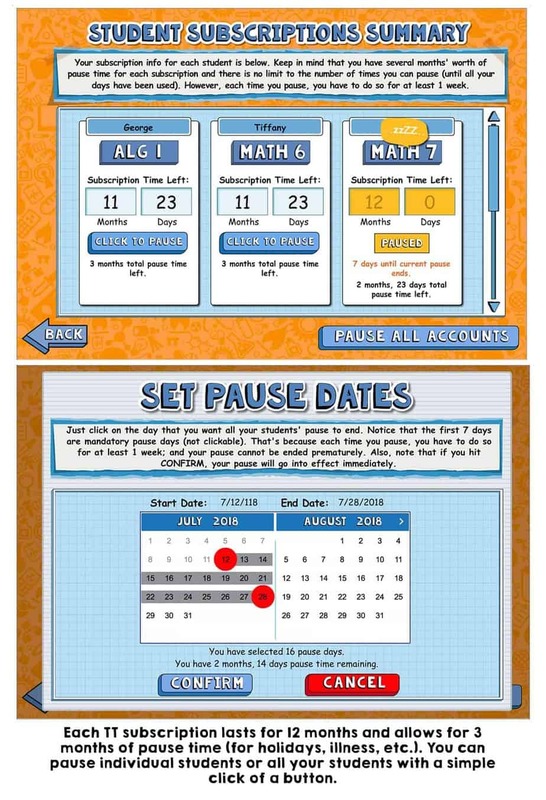 The subscription was less expensive and seemed like an awesome way to do school. I’ll be honest. We aren’t known for taking care of discs in this house, so the fact that I don’t have to worry about them is amazing! For $43.08 I received 12 months of access to Teaching Textbooks Math 3. This includes 3 months of pause time, which is great for when we take breaks. So, let’s talk about the differences between 2.0 and 3.0. The 2.0 version is a physical product and is still available if you have trouble with your internet connection or prefer a physical product. The academic content between both versions is the same. 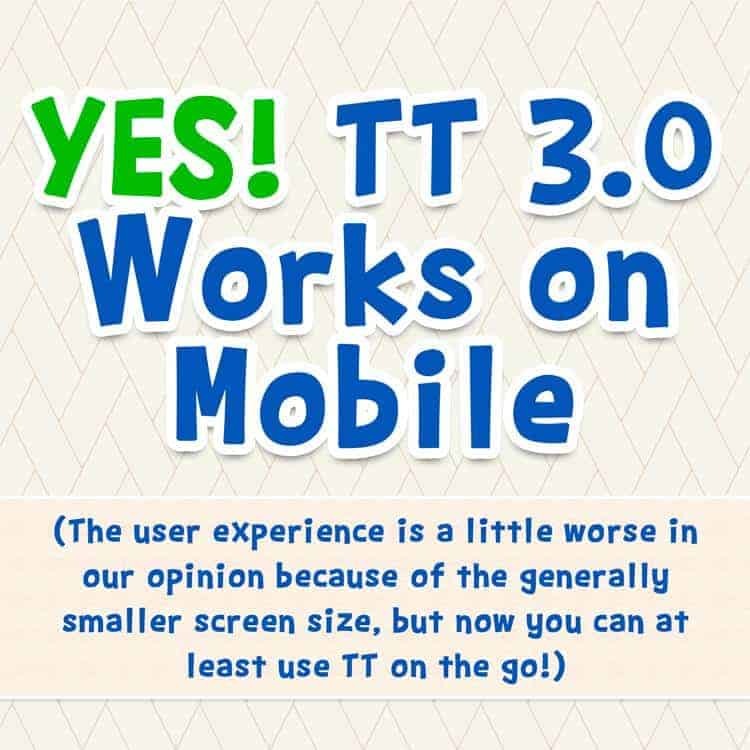 I love that the new version is completely online. Grades will never be lost. I can easily login and change whether or not my child has access to hints or second chances while he is working his problems. I can delete incorrect answers in his lessons and have him re-do those problems for a higher score. If needed, Teaching Textbooks 3.0 can work on a mobile device via the Puffin browser. My son can use his iPad to do his math on the go, which is awesome in my opinion! 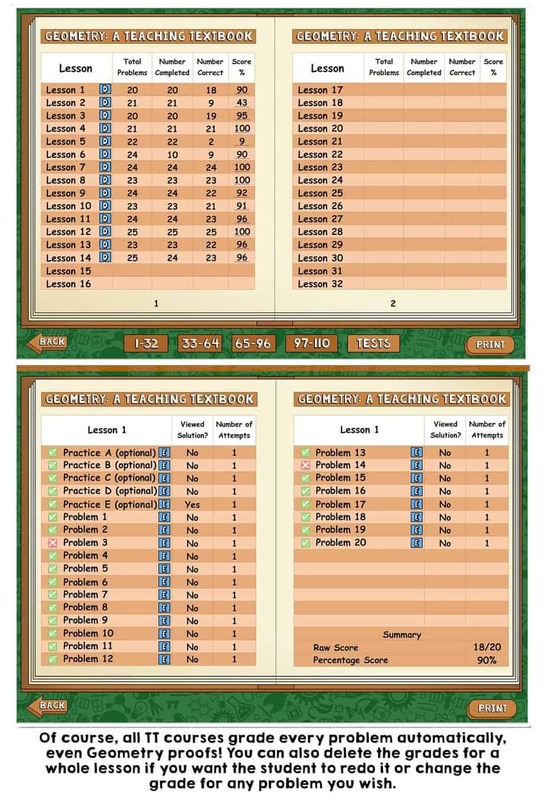 The e-book version of the textbook is available so I can see what my child is learning in each lesson, and which problems he is working on. I can even print certain lessons if I want to work on them with him with pencil and paper. What does my son say about Teaching Textbooks 3.0? Well, he loves that it is computer based. That’s probably the main draw for him because he loves anything that is on the computer. He likes that he can choose a buddy and wallpaper so he can customize how his screen looks. All of the lectures and problems are read to him, so he doesn’t have to struggle with reading and comprehending everything at one time, although reading the textbook is an option. I highly recommend taking the Teaching Textbooks placement test before starting your child in the program. I knew my son had struggled with math, so I started him in the first level, Math 3. My daughter will take the placement test because the levels do not necessarily match up with grade levels. 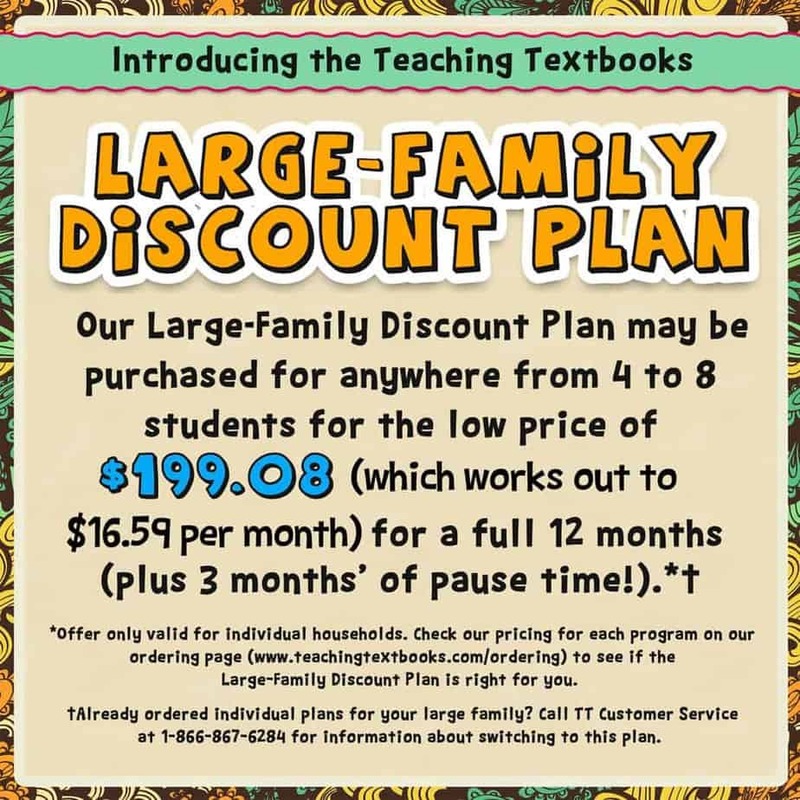 I definitely see myself taking advantage of the large family discount plan in the future when I have more children using Teaching Textbooks. 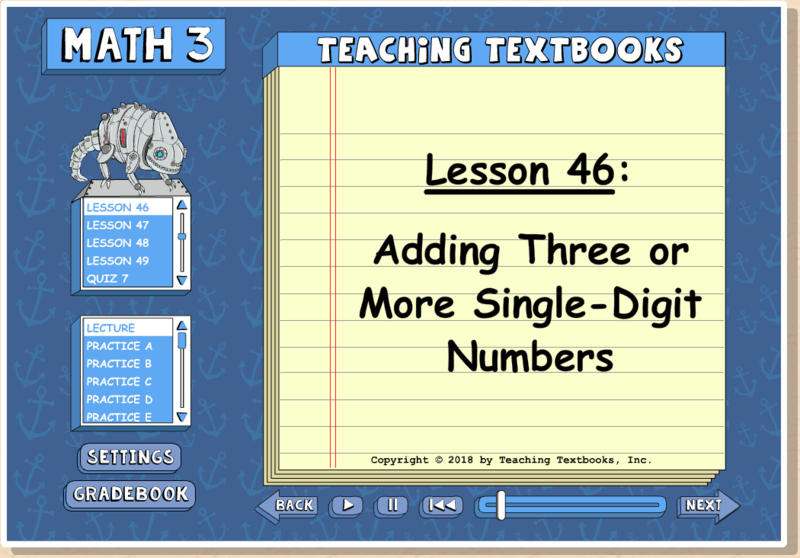 Try the first 15 lessons of any level for free to see if Teaching Textbooks is a good fit for your family! Learn more about the free trial here. Teaching Textbooks is graciously offering one of my lucky readers a one year 3.0 subscription! Just fill in the Rafflecopter below! Thank you so much for your transparency in your homeschooling struggles. We have struggled with my little one in learning to read, and then we tried reading eggs online and it has worked wonders. He loves the independance that it gives him. 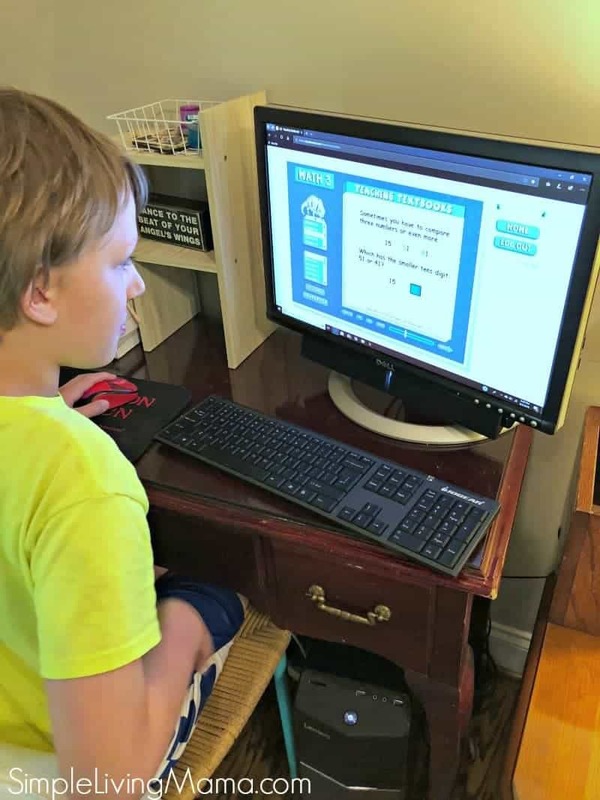 It also seems to help in other subjects, in the fact that he is not so irritated with his reading lesson that he shuts down before getting to other things. I think teaching textbooks will be something we try when the time comes.